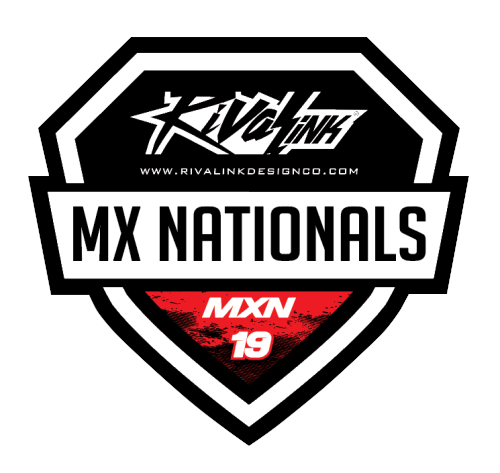 Click here for live timing. Protest Message: "Walter showed no intention of making the corner as he launched the berm in order to punt another rider." See the final Gebhardt protest for a result. Protest Message: "He sat on top of a burm and waited for me then took me out." The protest description is accurate. This type of offense would result in a DQ from the race and a warning, but Titus did not race the event. As a result, this will be his first warning. Protest Message: "Chapman cuts the track in order to affect other riders." See the final Chapman protest for a result. Protest Message: "Walter once again shows no intention of making the corner and launches the berm to hit another rider." Protest Message: "Barnes rides backwards on the track in order to hit another rider." See the final Barnes protest for a result. Protest Message: "Walter shows no intention of making the corner for a third time." Protest Message: "Rush shows no intention of making the corner and launches the berm towards another rider. He then re-enters the track in an unsafe way by jumping midway into the whoops section from the corner." Chapman made several unacceptable moves throughout the main event which included track cutting and punting. Track cutting to hit another rider is not acceptable. Chapman will be suspended from all races on MXSLobby for two weeks. His next offense will result in a longer ban. He can ask for his ban to be lifted starting on 9/27/2015. Protest Message: "Walter shows no intention of making the corner to hit another rider for the fourth time." Protest Message: "Nathan goes for a blatant takeout on a leader." Protest Message: "Walter attempts to cut the track to finish the race." This offense on its own would only call for a warning, but the other four offenses are what require a penalty. Walter showed no respect for other riders during the race and made several unacceptable moves during the main event. This type of riding will not be tolerated on MXSLobby. UID 12235 will be suspended from all series held on the MXSLobby website for three weeks. His next major offense will result in a permanent ban from the site. He may ask for his ban to be lifted starting on 10/4/2015. Protest Message: "Nathan attempts to punt a rider by launching a berm before the finish. As Barnes was not racing this rider for position, this is considered a protest worthy offense." Barnes made several unacceptable moves throughout the main event. This kind of racing will not be tolerated. Barnes will be suspended from all races on MXSLobby for two weeks. His next offense will result in a longer ban. He may ask for his ban to be lifted starting on 9/27/2015. Protest Message: "Copeland was being a difficult lapper and battling with the leaders. He also slightly cut some track markers to attempt to hit a leader in a couple instances." While the other offenses are only considered minor compared to everything else that went on in this race, track cutting is not allowed especially when it is to hit another rider. Being as his number of total offenses was much lower than that of the other protested riders this week, Copeland will only take a one-week suspension from the site and a two-round suspension from this series. He can ask for his ban from the site to be lifted starting on 9/20/2015.